The contemporary Odisha is progressing and flourishing in the heterogeneity spheres counting social, political and economic development in a long run. 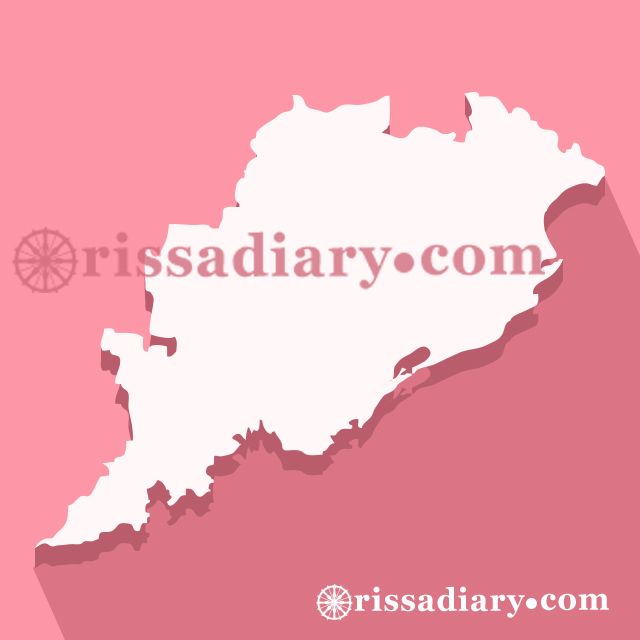 The state has earlier tenderly criticized for its backwardness, under development and poverty, but the neo-identity of Odisha has conveyed beyond the expectation and mile stone achievement in poverty elimination, agriculture, skill development, women empowerment, income enhancement and rural infrastructure building evaluate to advance state of India. More than one element materializes to be uttered here for socio economic development of Odisha since 2000s. One of those imperative devotes as the welfare policies of the state for the people and these achievement. It is necessary to critically evaluate the cost- benefit analysis of some flagship policies of the government of Odisha under the chief minister ship of Naveen Patnaik. Do the welfare policies become the rationale behind the expansible social development of Odisha? Secondly, how and why then, the state government has been facing the primordial challenges and issues related to the welfares policies? In order to analyze all the questions, we should go with some specific policies which are exclusively funded, monitored and managed by the state government including in the categories of Agriculture, Health and Human Development and Rural Infrastructure building. The government has kicked off a number of steps for the growth of agriculture and allied sectors. For enhancing the financial support to the farmer, the government has also granted special prominence in the allocation of funds to these sectors, in form of separate Agriculture Budget started from the financial year 2013-14 with the budgetary expenditure of 13181.89 crores for this sector. During 2016-17, it has further been proposed to enhance to 14930 crores. With a view to empowering farmers of the State, the Agriculture Department has been renamed as Department of Agriculture and Farmers’ Empowerment, create a separate Agriculture cabinet as a Committee of Cabinet to monitor and provide direction and focus to plans and policies related to agriculture & allied sectors. In spite of numerous barriers like irregularities in monsoon and bumpy distribution of rainfall, agricultural production has been increasing and reached at 118 lakh MT. The State could be able to produce higher food grains and the State was awarded the “Krishi Karman Award” from the Center for the bumper production for the fourth times during 2010-11, 2012-13, 2013-14 and 2014-15. The government has much all ears on high-yielding, higher productivity with sustainable agricultural practices and foster inclusive growth to strengthen agricultural economy and the policy also aims to double the farmer’s income by providing of subsidies and efficient production technology, post-harvest solutions through making of linkages in the market mechanism with the substantial price as not below the Minimum Support Price. But the government has capable of reaching the target of 31.09 percent in the Western Odisha and 29.09 percent in the Coastal Odisha, Overall output asserts as the 28.02 percent as the whole Odisha under the scheme till the end of March 2017. Biju krusaka kalian Yojana ,the Scheme has been implemented from 2013-14 to provide health and accident insurance coverage of 5 members of every farmer family including the farmer free of cost up to 1.00 lakh to safeguard against health hazards. The BKKY was grounded in November 2013 with the objective to enrolling all the farmers’ families in the State. During 2016-17, till date, around 57, 64, 359 farm families have been enrolled and an expenditure of 20.97 lakh has been acquired till to January 2017. Under this, 3.61 lakh beneficiaries have been treated and claims worth of 18042.99 lakh settled. During 2017-18, it is programmed to support all farmer families in the State under health insurance cover free of cost and a sum of `8811.00 lakhs has been provisioned. Do the achievement and the productivity provide the satisfactory comprehensive development in the agricultural sectors or the huge changes in the life of farmers in Odisha? Naveen government has completely failed to bring the bill for the share holder and marginal farmer in their financial inclusion, insurance and sell of their production, for this the government had made this bill as a part of the manifesto of 2004s. The government also failed to construct the cold storage in the every Panchayats and blocks where the state government had decided to build 400 cold storage .The latest achievement has reached in only 100. The 35percent of the irrigation becomes the myth in the every block in Odisha till today. Issues of farmer suicide in Bargarh, Kalahandi and Balangir districts also have brought to the government to facade ruthless criticism from the oppositions political parties, journalists and academicians due to the failure in the financial management system. The state also has doubled the Income of the farmer for last one decade and the farmer’s income have boosted up to 108 percent compare to all Indian level i.e. only 38 percent in last 10 years. After the achievement in the different categories in agriculture, the BJD government as a stable govt. since the 2000s, the government cannot manufacture the state as high yielding and the optical production state like West Bengal, Punjab, and Uttar Pradesh in agriculture and farmer empowerment. The most flagship Biju KBK Plan is to be employed over a period of 5 years effective from the year2007-08 to 2011-2012 and envisages an annual outlay of Rs120 crore over and above normal plan allocations, and the Special Central Assistance that may be available to the region under the Backward Regions Grant Fund (BRGF). The Biju KBK onwards 2012Plan shall form the part of the Special Area Development Project that has been comprised vide Planning & Coordination for Creating opportunities for economic, social and human development for the people in the region, especially the disadvantaged group to go faster poverty reduction and achieving millennium developmental goals, and Improving the HDI in those region, constructing the rural infrastructure including roads and bridges, irrigation projects, watershed development and forestation. The scheme also deals in agriculture development, fisheries, afforestation and forest-based enterprises, organizing and strengthening the rural poor through SHG and Micro-financing. This plan has to convey much light on transforming the social development of the region. The state has also focused on the enhancement of the human development in the field of the health, especially in the field of the Infant Mortality Rates (IMR), the government has reached at 40 in 2014 as below the national average of 41, which was 91 in 2001. Odisha arrives at the first state in India during 2014-15 to rapid work and achievement in the tribal immunization programs, higher institutional delivery and the reduction in IMR. Niramaya (the free Drug Distribution schemes) has been started since 1st may 2015 which has covered all 32 districts headquarters, 4 tertiary hospitals, 27 sub-divisional hospitals and 377 community Health Centers with the total number of 489 typologies of drugs. More of 200 drugs are available in the all cited drugs centers. This scheme has been operated in the most of the health centre in the state till to may 2017. Mamata urges as conditional cash Transfer Maternity Benefit Scheme has been operating since September 2011 with the objective of wage comprehension for the pregnant and lactating mothers of the amount of rupees 5000/- by e-transfer to the beneficiaries in the four installments, before the delivery, secondly it increases the utilization of antenatal Care, postnatal care, and immunization. This scheme helps to decline the IMR and MMR. The govt. has successfully provided 25 lakh of beneficiaries till up to December 2016. The death of 19th tribals children in remote village of Nagada, Jajpur district due to the malnutrition affected diseases in November 2016 and the incident of Dana Majhi who had been forced to walk carrying his wife death body from the District Headquarters Hospital of Kalahandi because of the medical officers denied him to provide the free ambulance service. These two incidents display the irresponsibility of the government to provide the basic amenities in Health service. The BJD government and its Medical Staffs had been criticized for the same. For the poverty elimination and income enhancing, the government has decided to the “Rationalization and efficient in the PDS and progress the Procurement System” in August 2008, . The first target used to diminish the price of PDS rice for all BPL and Antyodaya families to Rupees 2 per kilogram.It has further abridged the price to 1 rupee per kilogram from February 2013. Moreover, the extension of the scheme privileged to all the APL households in the KBK districts provides information on the consumption of rice as well as wheat, sugar, and kerosene of households in Odisha from the PDS in the year 2009-10 (July 2009 to June 2010). Under this scheme, the native dwellers of the KBK region used to get the 35 kg. Of rice (BPL) and the APL could avail the 25 k.g. per month for a family of five members. The total number of 6652768 families has benefited under the scheme till to November 2014. This has lead to rapidly decline of the absolute poverty rate up to 25 percent and indirectly it also has enhanced to increase the Per Capita Income of the state 722 percent from 2000 to 2017. Cement Concrete Road (CC Road): The State Government have decided to grant thrust to the scheme for construction of cement concrete roads in the villages in each and every galis, and corner in the State with special spotlight on SCs/STs/PVTG (Particularly Vulnerable Tribal Group) place. This scheme launched in 2010-11 and totally funded and governed by the State Government’s budgetary allocation. The total amount of 21368.68 lakh has been spent on February which constitutes 8128number of CC Roads (645.93Kms.) out of 9843number of CC Roads yet to complete. The total of 111523 CC Roads (1248.63Kms.) i.e.61 percent were completed out of 18137 number of targeted CC Roads up to end of March 2017. Biju Pucca Ghar Yojana(BPGY) , a scheme for the rural housing was launched in 2014 in order to convert all the Kucha home into the Pucca by the end of 2019 to the rural poor those who has no Pucca home of their own. Under the scheme, 3 percent of reservation has been made for the people with disability (PWD). The beneficiaries himself would construct his/ her home with the amount of the 1.30laks from the state budget. The government has able to construct the 10 lakhs Pucca houses in the rural areas till up to March 2017 under the scheme and sum total of 22 lakhs rural housing have been constructed in last ten years through several schemes. During 2001, the Government of Orissa had begun the scheme of Mission Shakti to amalgamate all Women Self Help Groups(WSHGs) to supply identical guidelines, training of personnel, training materials for economy empowering to such groups. The WSHGs are continued to be informal groups of women members with collective team work with the number between 10 to 20.the number of the WSHGs has reached to 6 lakhs in nonmember 2016 with the 50 lakhs women has been benefitting after the state government had lowered the interest rate to 1 rupees of the credit. The Government would also offer the Rs15000/- cash prize for the best credit performer WSHGs. This incites the 65 percent of the live property owned by the Women contrast to 38 percent in all India level. 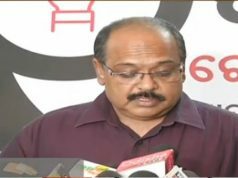 In the context of strengthening the women participation in the politics, the government of Odisha has decided to increase the reservation from 33 percent to 50 percent to women for the political participation in Panchayats and municipalities bodies under the Orissa Panchayat Laws (Amendment) Bill, 2011. This bill came to effect from the panchayats election of 2012.The Bill also gives light on the reservation of seats and offices of Chairpersons for two terms instead of a single term. Women empowerment becomes the challengeable task for the state for the empowering the women especially in the field education, social justice and gender gap. These indexes urge to more vulnerable in tribals. They are unaware in social, political and economical spheres. The government also criticizes for the checking of molestation, employment, and exploitation against the women. The state government has also failure to endow with the technical and skilled awareness as well as the social security for more empowering the WSGHs in the rural areas. 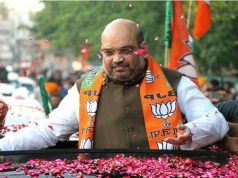 In the discourse analysis of the ‘Achievement vs. Development’ , the state has capability to convert lots of opportunities in term of welfare policies in to achievement , I make the luminosity on the policies of the state and its achievement from the Mamata Yojana to Harishchandra Yojna (financial support of rupees of 2000/- for the poor and destitute for the cremation of their near and dear as the well unclaimed bodies also) in other word the government has guaranteed the policies from birth to death of the people in Odisha. The state should recognize as a faster governance augmentation and social development state in India. But Odisha assets to challenging in both intra and inter disparities. Why and how then spot of the state lies tenderly in the HDI. Data Source:- NSSO, RBI, several ministry of Union and State governments, Economic survey of Indian and Odisha, Report of Health and Family welfare department, GOI, report of the ministry of Rural development, GOI.